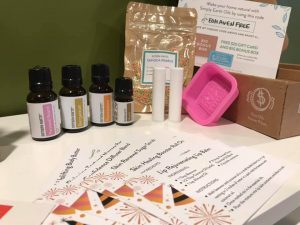 Simply Earth is a young, fun essential oil brand offering quality essential oils at a fair price. In many places, the company motto is repeated to be “honest”, and to help you “make your home natural”. After testing their oils and reviewing their company, I can agree and say that this is true. It’s a simple, family-run essential oils business striving to help your home become more natural. If you’re looking for a real life testimonial and experience report about using Simply Earth essential oils, their oils’ quality, or their recipe box subscription program and BIG BONUS BOX information, that’s what you’ll find in my Simply Earth review article here. I hope you walk away with the information you were looking for (and if not, please leave a comment at the bottom of the page)! What’s the Best Thing about Simply Earth? 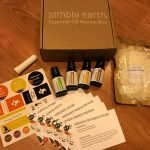 Simply Earth offers a super fun, easy monthly essential oils recipe box subscription! 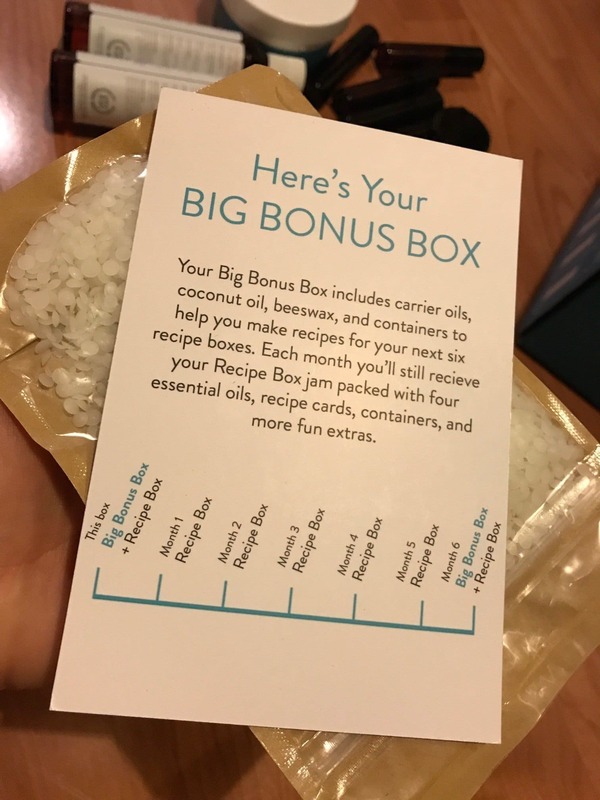 For just $39/ month you get 4 x 15 ml of essential oils, recipe cards on how to use the oils, and some extras you’ll need to complete said DIY recipes. Essential oils are 100% pure, undiluted, GC/MS tested and as one of their videos mentions, “loved from farm to bottle”. Simply Earth features a lot of videos across their website and social media, so you can actually really get a feel for the company and the people behind it. I really appreciate that! The company donates 13% of their profits to organizations that fight human trafficking. 13 is the average age of a child being entered into the rings of human trafficking. The Simply Earth return policy is a full year (365 days). Shipping is free for continental U.S. states on orders $29 and up. In a hurry? 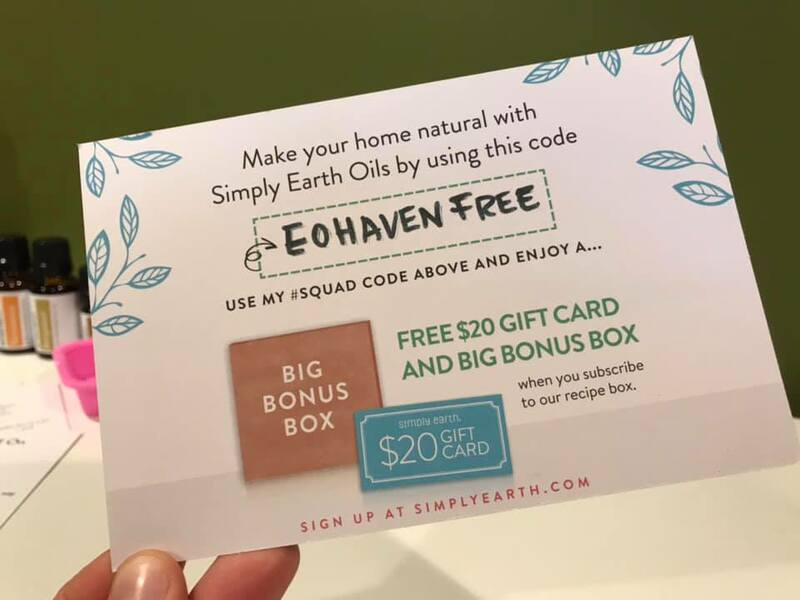 Shop Simply Earth and enter code EOHAVENFREE to get a $20 e-gift card with your first subscription box and bonus box. 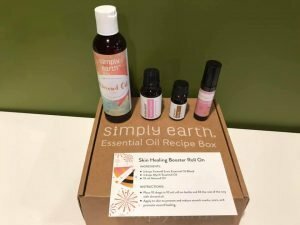 Simply Earth is an Essential Oil Company based out of Wisconsin. Simply Earth is an essential oils brand founded by Dustin Veldkamp and his partner Lee Veldkamp in 2015. The company headquarters are in Sheboygan Falls, WI and to this day, the brand is still privately held. Simply Earth is a simple and refreshing company to deal with. You’ll notice many personal touches throughout their shopping experience, especially in their recipe explanation videos and recipe box un-boxing videos on their YouTube channel. One of the main slogans at Simply Earth reads: “Make Your Home Natural“. While reviewing Simply Earth as a company, I found their focus to be a lot on “DIY”. They publish a lot of recipes on their blog, are always good at the how-to instructions, and of course this is supported by the easy “monthly recipe box” product set that one can buy at Simply Earth. 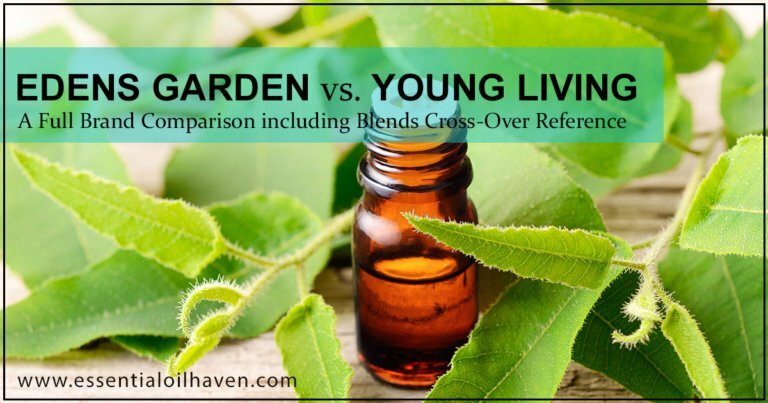 It’s almost like looking at essential oils somewhat like a craft, where mixing, blending, and making homemade beauty or cleaning products is part of the fun of the game. 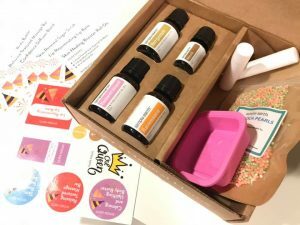 If crafts and DIY is part of what they’re passionate about as well, Simply Earth might just be a beautiful brand fit for you in the realm of essential oils. It’s an incredible value (over $150 in value), for only $39. And it’ll let you create 6 natural DIY essential oil recipes each month without ever needing to buy supplies or containers or anything else extra. 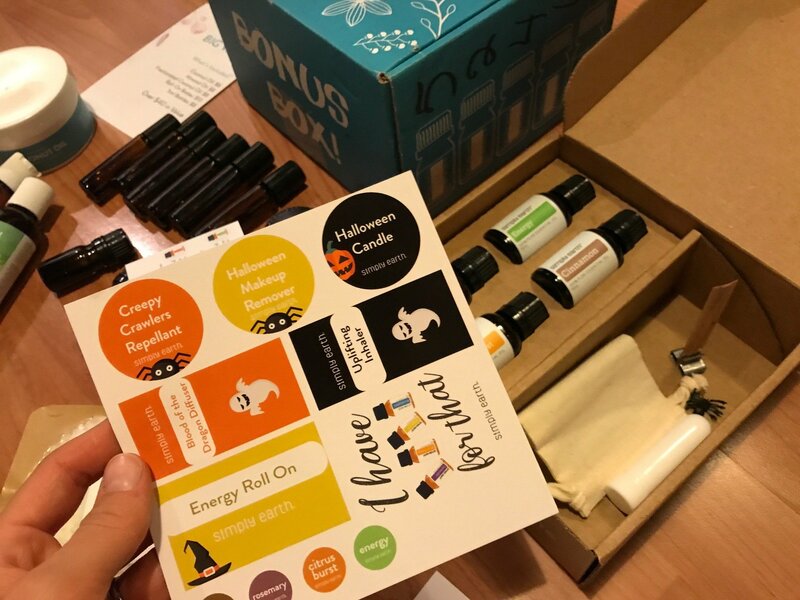 It even includes stickers to label your creations, and of course you’ll never need all of the 15 mL essential oil for your recipes, so you’re able to build up your essential oils library quite nicely, too! The Starter Kit: BIG BONUS BOX plus Monthly Recipe Box. 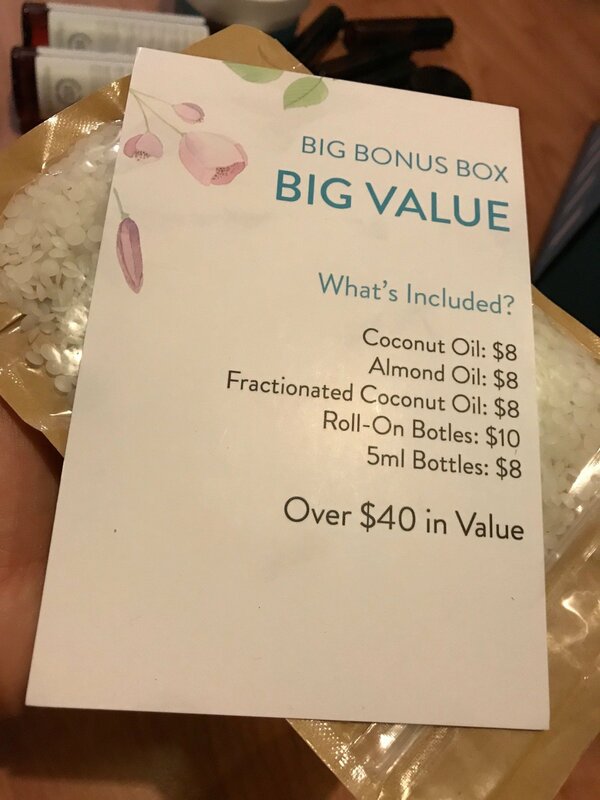 The BIG BONUS Box is worth over $40 in value. How it works on a monthly subscription. 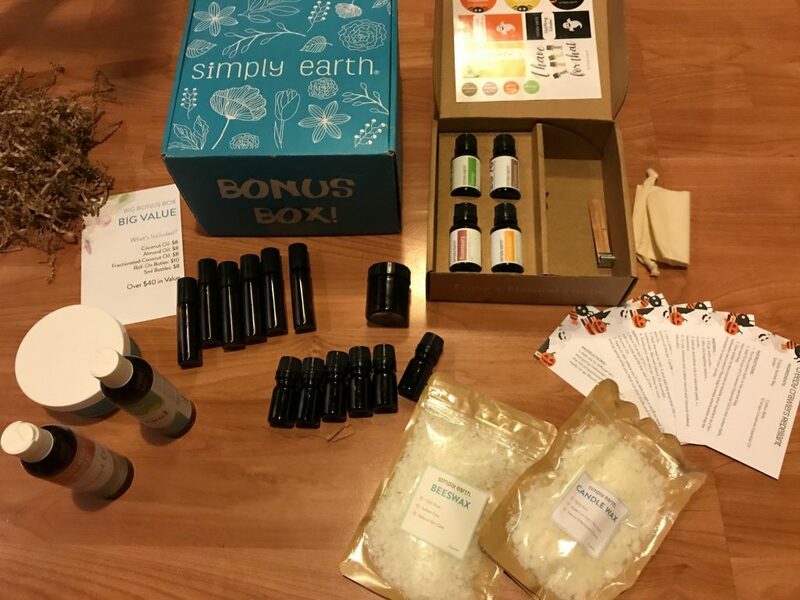 This is the October 2018 Simply Earth subscription box. Stickers are included so you can label your essential oils creations. 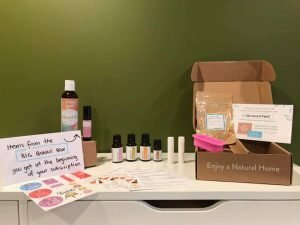 A lot of the rave around Simply Earth as an essential oils brand is around their Subscription Box. However, you can also place one-off orders on their website and shop for many of your aromatherapy basics needs. Their shop is stocked complete with essential oil diffusers as well, and extra bottles and labels should you need more aromatherapy supplies. They also sell a few select essential oil jewelry pieces: a tassel necklace, a beautiful bracelet, and a specific kids jewelry bracelet. 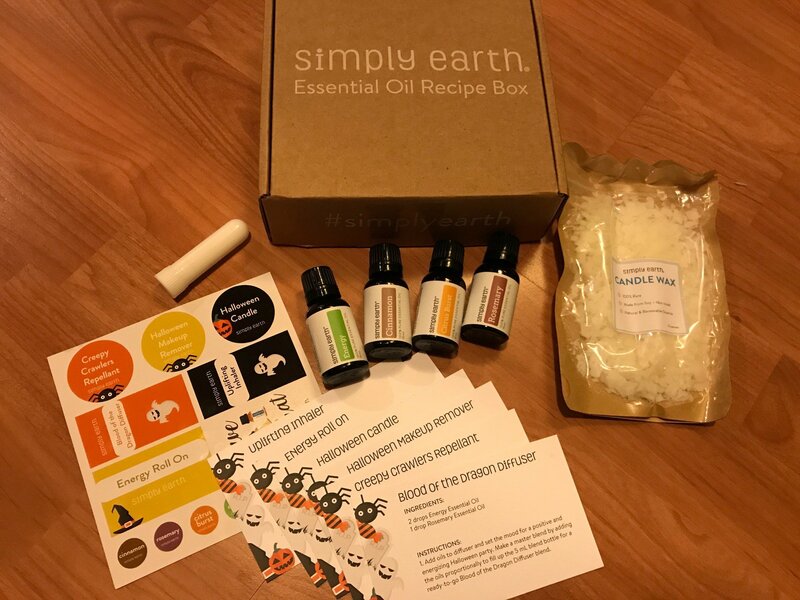 The Simply Earth product line-up is made complete with some essential oil essentials that you might like for around the house, including wooden essential oil storage boxes, wool dryer balls, natural mosquito repellent, fabric fresheners, and shoe & foot deodorizers. If you need to custom order anything extra, or would like to try something new, you can definitely get decked out at Simply Earth and not need to look anywhere else. “Loved from farm to bottle” is the motto at Simply Earth essential oils. 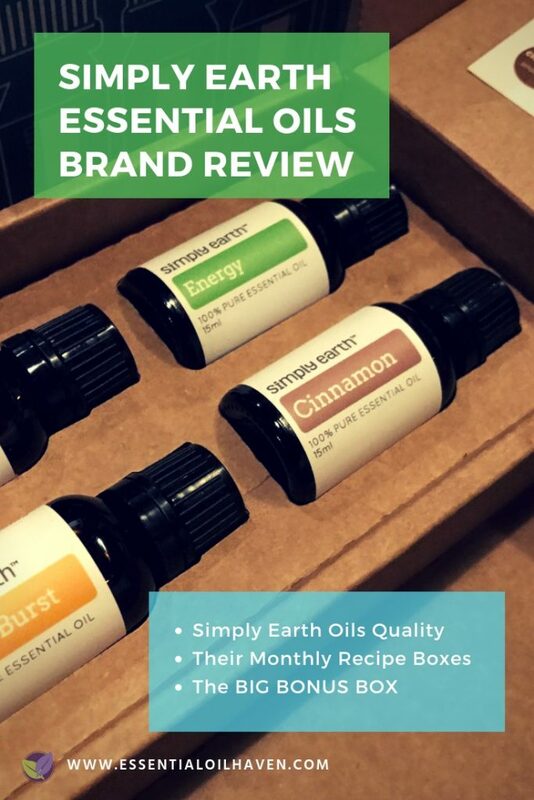 The essential oils sold by Simply Earth are sourced from farms all over the world, tested for quality, and bottled in the company’s commercial kitchen located in the U.S.A. The reason for sourcing globally is easy: each plant has a natural habitat, a surrounding that it will flourish in best. Different plants thrive in different regions, climates, and soil conditions. In my opinion, sourcing globally is the only way a company can sell a wide assortment of essential oils. Simply Earth sources essential oils from farms around the globe. Simply Earth works directly with their farmers, thereby cutting out any potential middle-men or brokers that might increase the price of the oils to the consumer. 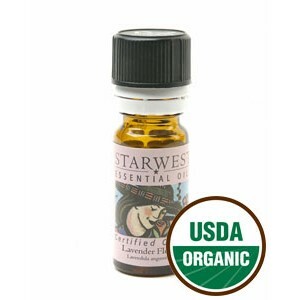 Fair and safe harvesting practices are ensured through steam distillation or cold pressing of the essential oils. Each batch of essential oil purchased from a farm is tested to ensure 100% purity. Simply Earth essential oils are professionally packaged in amber glass bottles, which ensures maximum protection for the oil against damaging UV rays. If you purchase an oil from Simply Earth, you can be assured that it’s been handled with care and kept as fresh and as potent as possible. Learn more about Simply Earth’s Commitment to Quality. If for some reason you are unhappy with your purchase, the oils are guaranteed for a whole 365 days. Simply contact the company, and send back your product free of charge. The bottles must be unopened and undamaged to qualify for a full refund; but if there is shipping damage or other issues, you can submit your issue to their customer service with photos and they will take care of you. I have not yet heard a legitimate super negative review of this company. They take care of their customers, and I appreciate that. I personally like to do business with companies who I can “put a name to their face”; and Simply Earth is definitely that for me. Want to check out their shipping and return policy for yourself? Find it here. I thought you might enjoy seeing some of the past recipes, things I’ve created and tried, and perhaps consider continuing your essential oils DIY recipe journey with Simply Earth as well. 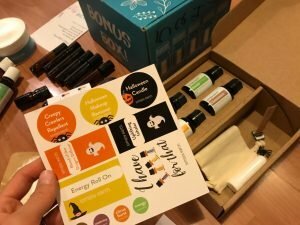 The January 2019 Subscription Box. LOVE that the 4 oils included are almost always 15 mL. What do you think of Simply Earth? Have you never yet tried it, or are you a long-time monthly subscriber? Leave us a comment below!